We are offering Epoxy Floor Screed . 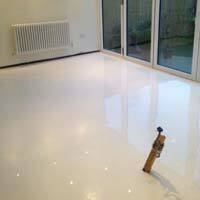 Epoxy floor screed is used to level the unevenness in the flooring and provide a smooth finish for the top coat. Moreover the screed will provide strength to the floor making it suitable for tough use. Since inception, we are involved in selling of premium Epoxy Floor Screeds, as we are its top supplier in the marketplace. Our organization has worked diligently to create a well-organized supply network. Thus, patrons can order the goods in wholesale and expect timely arrival of consignments. 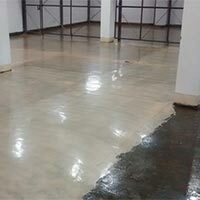 Epoxy Modified Cementitious Floor Screed For Light & Medium Duty Abrasion Resistant. 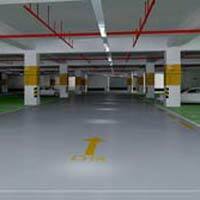 We are offering epoxy modified cementitious floor screed for light & medium duty abrasion resistant. 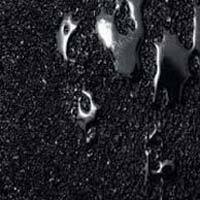 Shalimar Seal & Tar Products Industries..
Impact/ Load Resistant Epoxy Mortar Screed @ 3mm -6mm. 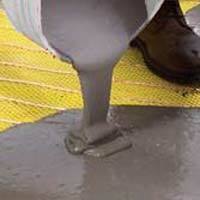 We are offering Impact/ load resistant epoxy mortar screed @ 3mm -6mm.